Comments Off on Consumer Demand Is Up, Are You Ready? According to “Factory orders up in Nov. on aircraft demand,” a recent article posted on USAToday.com by Josh Boak with The Associated Press, a surge in aircraft demand was noted in November along with computers, machinery, and other goods. With an increase in consumer demand, you may soon see a similar uptick in sales and manufacturing activities. Are you ready for this? The phone may be ringing off the hook or you may begin to notice an increase in customer demand. Whether it’s a trickle or the flood gates have opened it’s good to be busier than before, that is if you can handle the extra workload. An increase in production could require larger, and more expensive, inventory orders as well as longer work days. Before panic sets in, tame the chaos with an enterprise resource planning (ERP) solution. An ERP solution can alleviate some of the extra work that an increase in production will bring. A comprehensive ERP solution integrates all of your core business operations including finances, supply chain, inventory, manufacturing and distribution operations, as well as human resources and payroll. Automations with data-entry and data-sharing, removes common manual tasks that are often needed when fulfilling customer orders. Streamlining operations will save time that you can spend on other important tasks. Whether you are building one aircraft or a fleet, you won’t get very far if your suppliers can’t provide the parts you need. 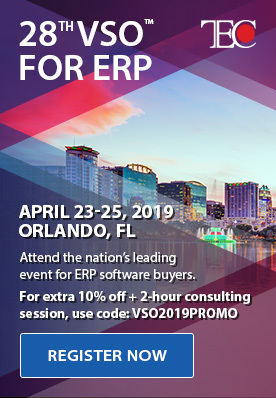 Use an ERP solution to connect suppliers with inventory including the key pieces you need, prices, and delivery schedules. Your suppliers may not be able to keep up with your newfound customer demand. Should you experience a weak link in the supply chain, you can quickly check your ERP to find a secondary source and keep production on schedule, as well as on budget. You can also track inventory within your ERP solution in real time. Your procurement team can coordinate with the manufacturing and sales teams to ensure that inventory is available when it’s needed. In addition, you can turn inventory management into strategic advantage by ordering items early, in bulk when possible, and maintaining lean inventory levels. The money you save in inventory can be invested in other business areas. Increased production of aircraft, machinery, or other items can be great for a business that is prepared. Contact Sherwood Systems for more information about using ERP to get ready for increased consumer demand. Posted in Dynamics ERP for Aviation, Dynamics ERP for Manufacturing, Microsoft Dynamics ERP Functionality, Microsoft Dynamics GP 2013 | Comments Off on Consumer Demand Is Up, Are You Ready? Where Did I Put That Sales Report?